My name is Lana Hirth. 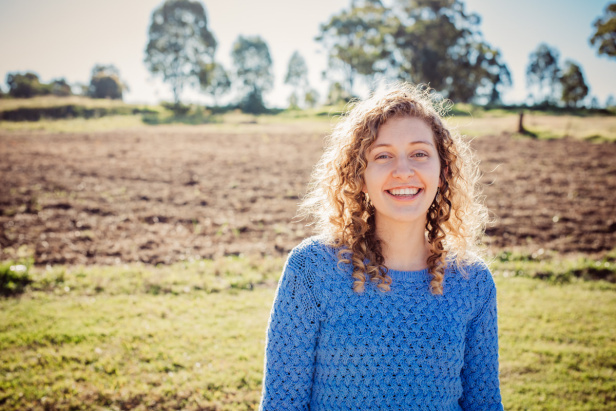 I’m a dietitian and nutritionist from Campbelltown (South West Sydney). I’ve lived in the South West all my life and there are some unique challenges living in this low-socioeconomic status (SES) area when it comes to nutrition. I work in a private practice clinic in the Campbelltown area and most people I see are referred from by their doctors under Medicare plans. What are some of the nutritional challenges faced by people living in low SES communities? There are many. High number of fast food outlets, long work hours, substance abuse and lower education levels are all factors that influence nutrition. 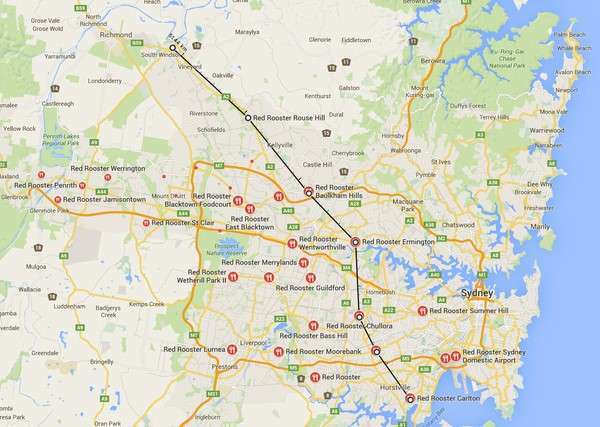 One is summed up well by the ‘Red Rooster Line’ – the significant difference in Red Rooster outlets between the low SES Western Sydney and high SES North Sydney (becoming newsworthy a few years ago). While we can joke about this line, it highlights the reality that low SES areas have poorer quality of food. If the high number of fast food outlets wasn’t enough, access to fresh food can be more difficult due to transport issues and is often further away. I’m seeing people feed their families fast food meals like McDonald’s multiple nights a week. It’s just so easy in this area for that to be an option. It’s really no surprise that Campbelltown’s obesity rate is double the state average. For people who are obese but are on low incomes, what are some of your top nutrition tips? 2. Use veggies in every meal – it doesn’t matter what type: fresh, frozen or canned. 3. Start with the basics – you don’t need fancy supplements or juices to be healthy. Go back to the five food groups and cut down on the ‘extras’. 4. Have a plan – Plan what you’re going to do when you need a quick dinner. 5. Ditch the soft drink – this includes frozen drinks. These will save you money and make healthier eating the easy option. Do you have any go-to meal ideas for people in this situation? In low SES areas, cooking skills can vary and are often poor – so I don’t always give people a specific recipe. My best advice is to keep it simple and add one extra vegetable to lunch and dinner. This is achievable for anyone. It could be adding frozen peas to scrambled eggs, mixing in canned legumes to Spaghetti Bolognese or keeping mixed frozen vegetables on hand for a quick stir fry or a side dish. I have heard the argument that since a key part of weight management is calories in vs calories out, people who are overweight are consuming too many calories, so they could save money simply by just cutting back on overall food intake. What do you make of that idea and do you see any flaws in that approach? For some people this may be an option. Some people who have large portion sizes, this may be helpful to begin good portion control. However, I’ve also seen people start to cut back on overall food intake by skipping meals or cutting out the protein source (as that is often the most expensive component of the meal). The flaws are they may be missing out on key nutrients and it can be hard to sustain. The argument about saving money – there are ways to save money without cutting back on overall food intake. Including more vegetarian meals, cutting out the junk food and planning your meals are all ways to save money without needing to skip meals. It’s not about cutting back on how much you eat, but rather adjusting what you eat. This is just not true. Unless you think healthy eating is eating salmon fillets, avocado and acai berries all day long – then yes, it may be. This myth has been busted many times. You can make healthy meals under $5 per serve (even as cheap as $3 per serve). For a family of four, you’d be paying much more than $12 for fast food. If you limit the fast foods and junk foods, then it can be quite realistic to eat healthy on a budget. Find a local grocer or going to the local ALDI is a great way to save money and still be healthy. Keeping in mind your passion for nutrition in low SES areas, do you have an opinion on whether Australia should have a sugar tax? I am a strong advocate of the sugar tax. It’s areas like Campbelltown and South West Sydney that need it the most. We’ve seen in work in the short-term in Philadelphia and longer term in Mexico. It’s not the only answer, but people in low SES areas are already at a disadvantage – we need to be doing everything we can to make the healthy option the easy choice. Not everyone can afford to see a dietitian. There are many online health gurus’ that distribute misinformation for free. People can see a dietitian by getting a Chronic Disease Management Plan from their GPs if they are elegible.